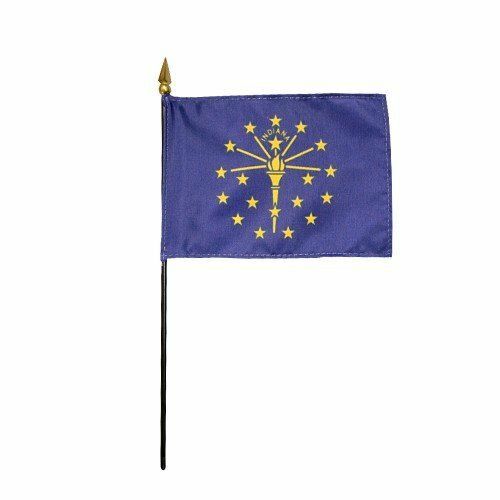 AmericanFlags.com is proud to carry Indiana State Flags in a variety of materials, and styles, in sizes ranging from 4 IN X 6 IN to 12 FT X 18 FT. All of our Indiana flags meet official specifications, are on sale right now and are ready for immediate shipping to your door. 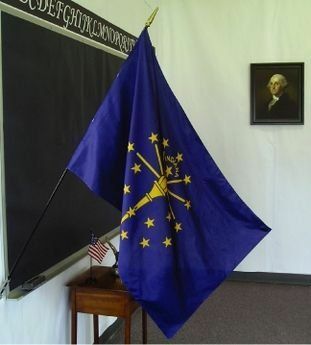 To commemorate the 100th anniversary of Indiana's statehood in 1916, the Daughters of the American Revolution sponsored a flag design contest. 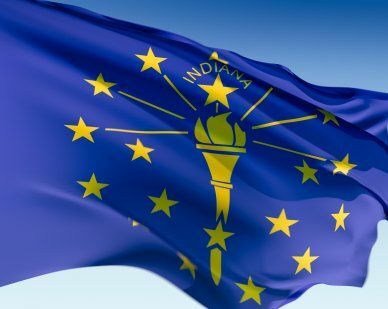 Paul Hadley of Mooresville, Indiana, designed the winning submission which features 19 gold stars set against a blue background. The 13 stars that make up the outer circle symbolize the 13 original US colonies. 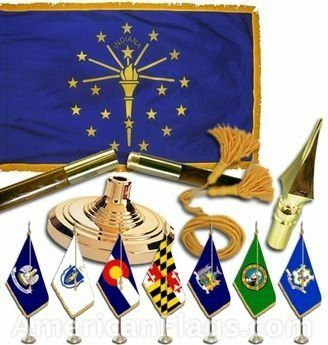 Representing the five states admitted to the Union prior to Indiana but following the original 13, are the five stars that comprise the inner half circle. 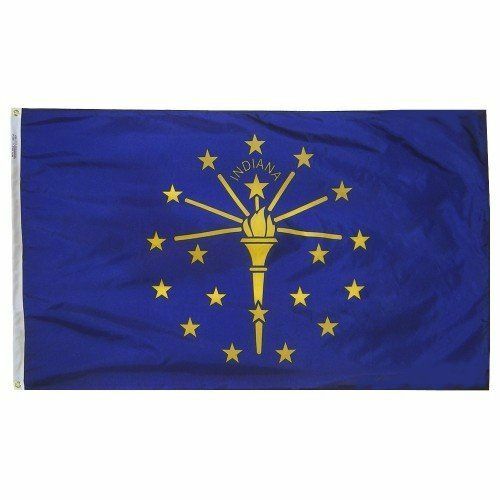 The large star above the flame of the torch of Liberty symbolizes Indiana. The flag was adopted for official use in 1917.